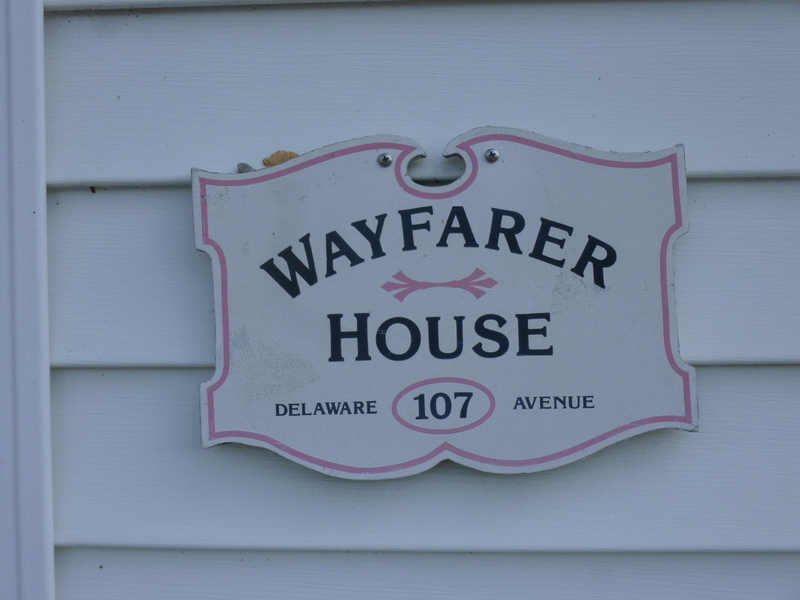 I ended up in Elkton last night, so I looked into donation possibilities there, and found the Wayfarer House, which is a shelter for women and their children operated by The Meeting Ground, which also runs a couple other shelters, a food pantry, and provides hot meals for people in need. I called them to see if a food donation or a financial donation would be most helpful, and they said a check would be wonderful. They say that a dollar given is multiplied 3 times in the help it offers to homeless families. 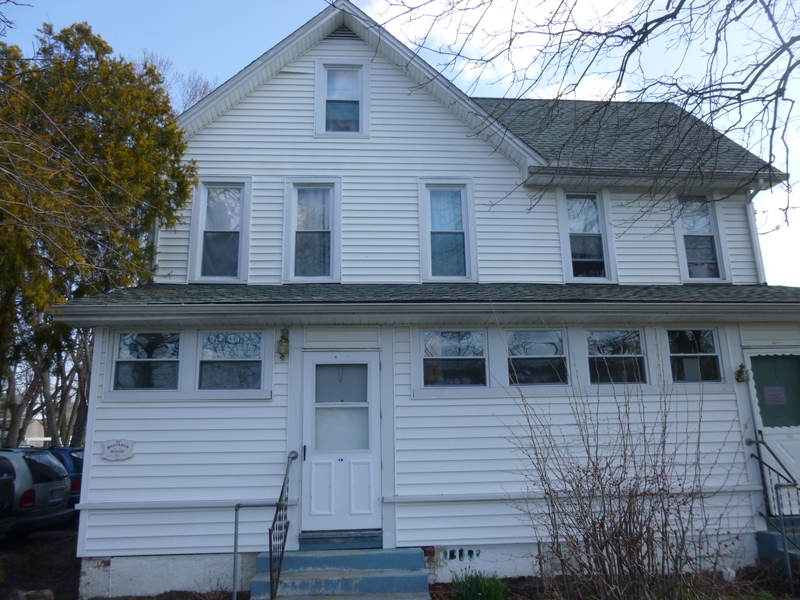 I drove into town and found the house and went inside to make the donation – it looked like it was a busy place. 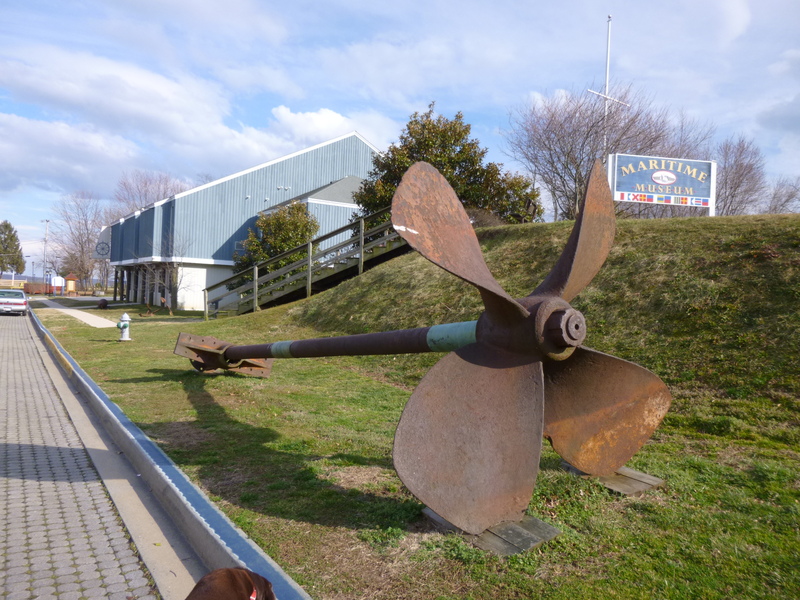 Elkton looked like a fun town to walk through, so Tula and I got almost 2 1/2 miles in. 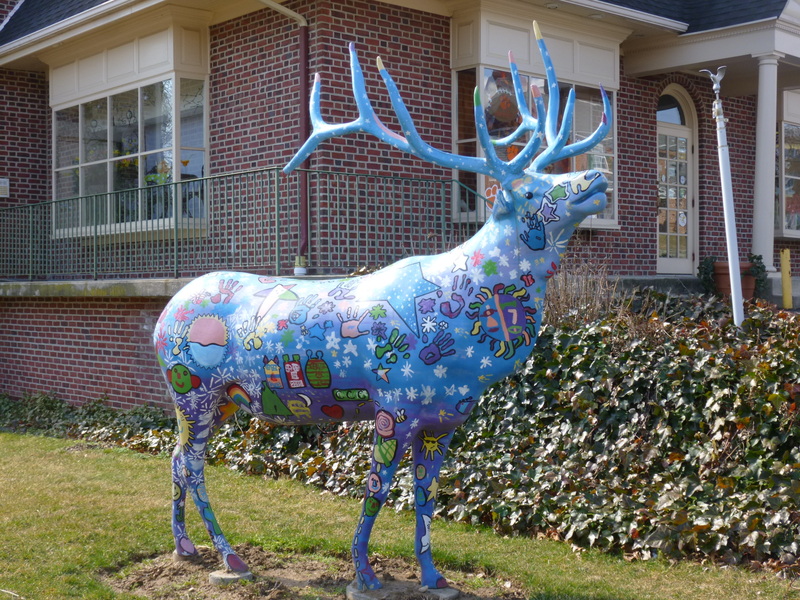 There are numerous elk sculptures all through town, many of which have been elaborately painted. 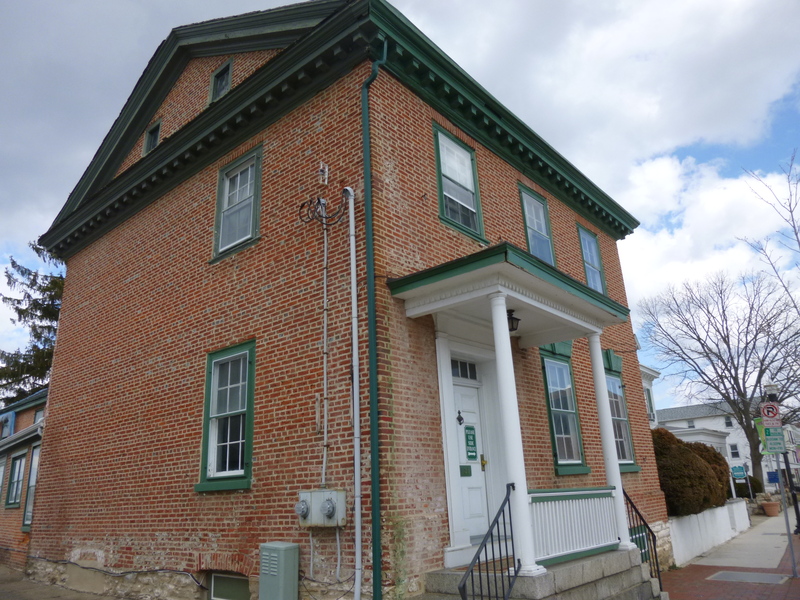 This is a town that George Washington rode through, and the oldest building in town became a Civil War Hospital in the 1860s. 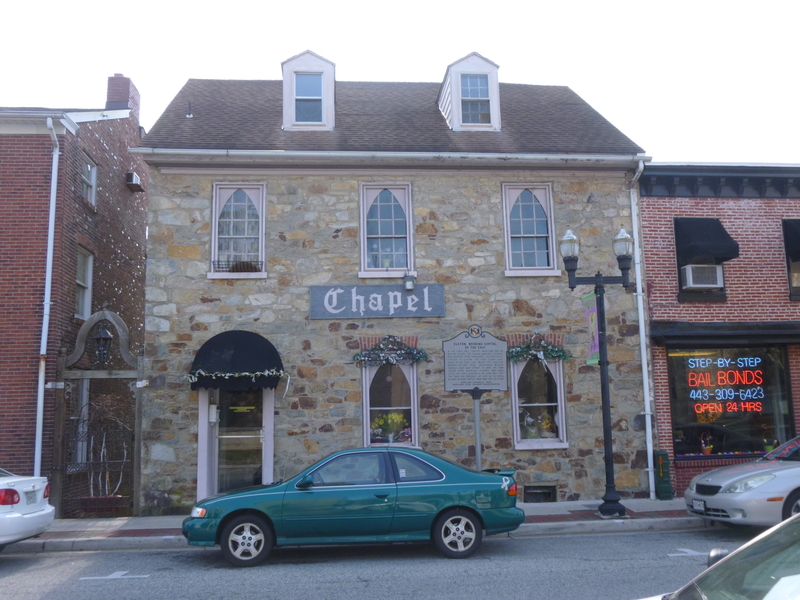 And there was a historic little wedding chapel that has presided over countless weddings in the early 1900s. 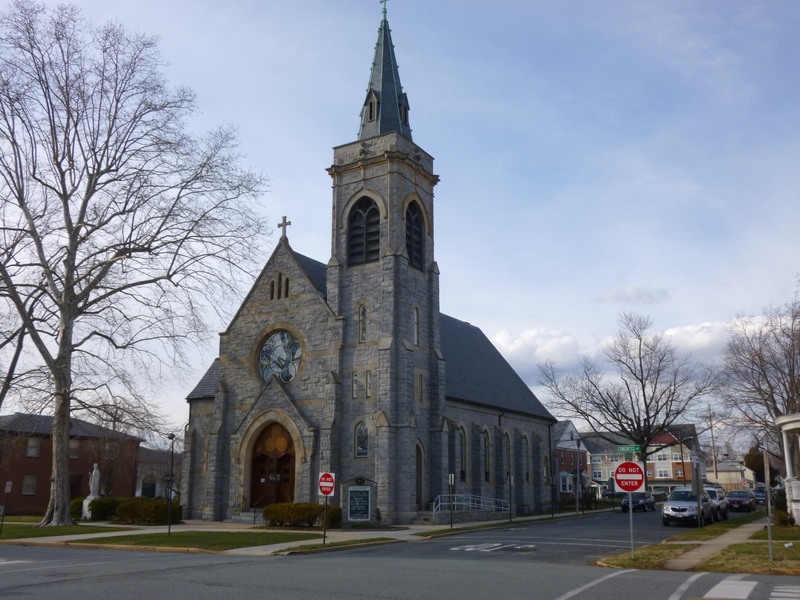 Back then, there were 15 wedding chapels in town – Elkton was known as the wedding capital of the east, and in 1936, the chapels issued 11,791 marriage licenses! 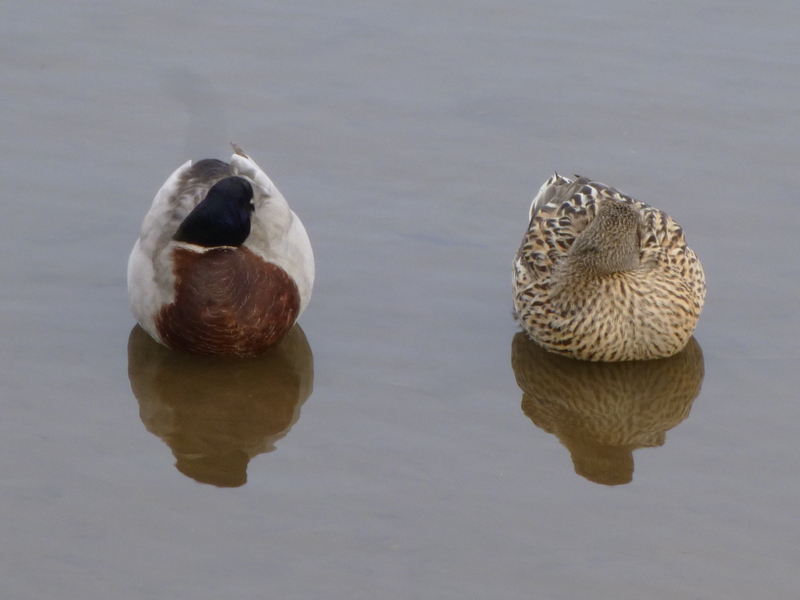 Their popularity was due to the fact that they required no waiting period, no blood tests and no witnesses. 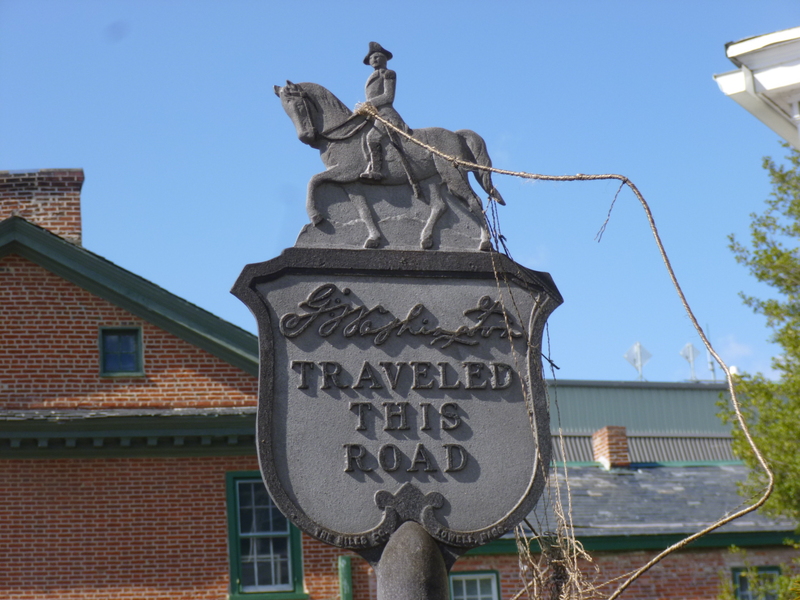 Even after a 48-hour waiting period was required a couple years later, people still flocked to Elkton – 6000 couples got married every year through the 1970s, and people still get married there. 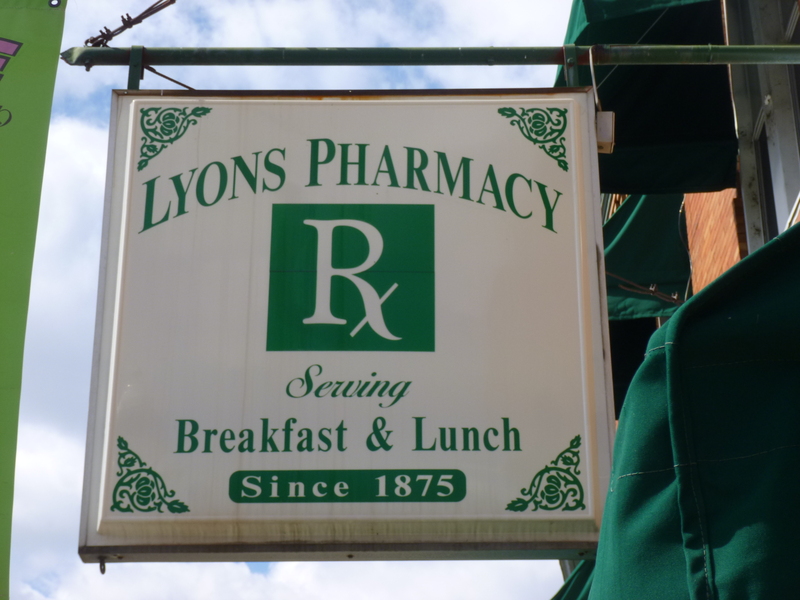 There was also an old-style pharmacy across the street which has been serving breakfast and lunch since 1875, and I put Tula back in the car and enjoyed an early lunch on a stool at the old-fashioned lunch counter. 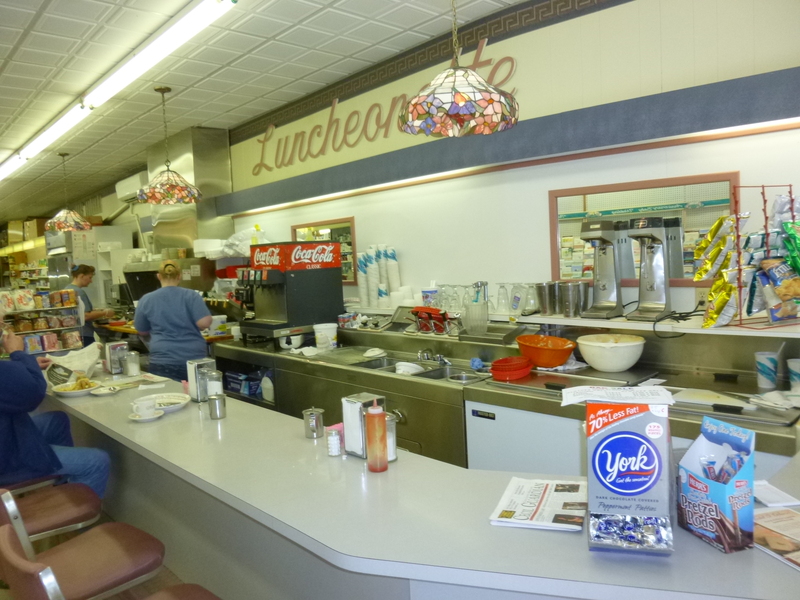 Nearly every stool and table was taken, and it was obvious a lot of them were regulars. From there I drove a few miles over to the town of North East for some more walking. 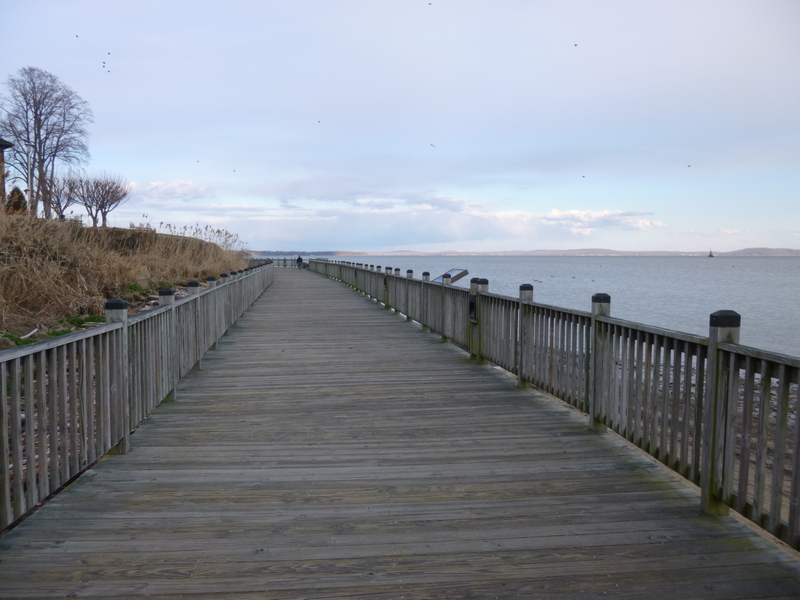 I love these little coastal towns and that’s why I don’t make too much progress around the bay – I stop in lots of them! 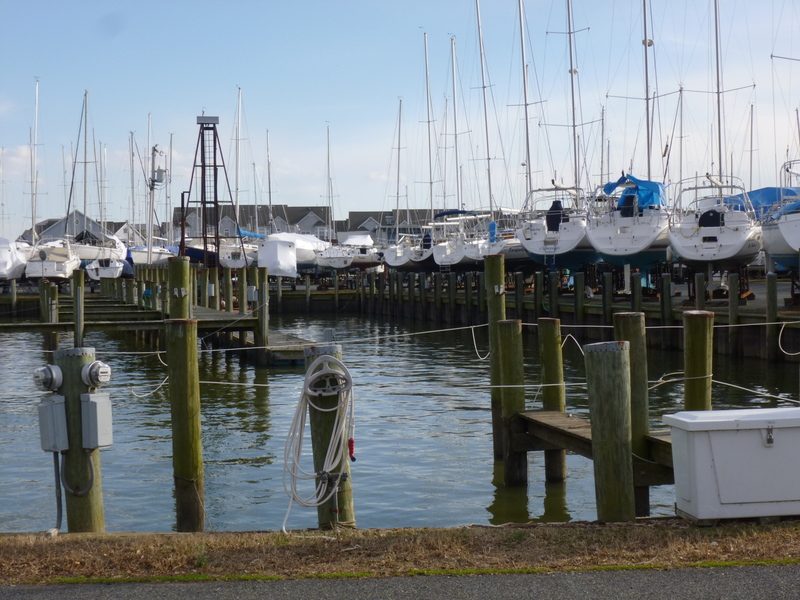 After walking a bit in North East, I crossed the Susquehanna River and stopped in Havre de Grace, my favorite town of the day. 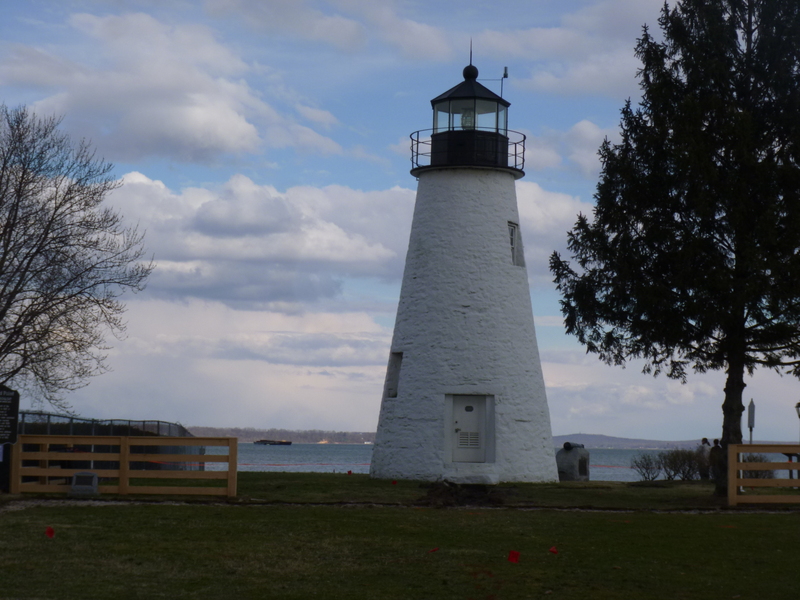 Havre de Grace is at the very top of the Chesapeake Bay and was a big fun town to walk through with several walking paths, one of the oldest continuously working lighthouses on the east coast, and a long boardwalk around the top of the bay where I discovered a new national park thing called the Star Spangled Banner Trail. 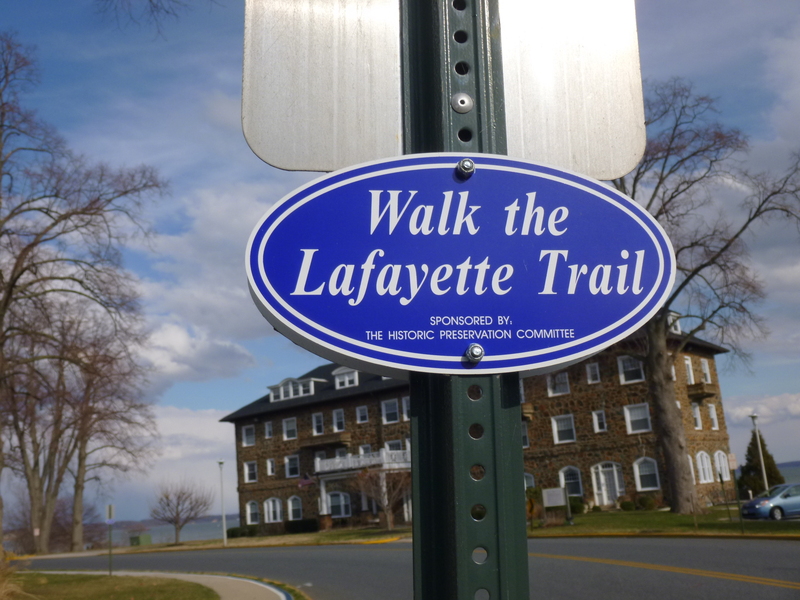 The trail only became a reality last year to commemorate the bicentennial of the War of 1812, and connects many historic sites in 3 different states that were somehow involved in the British invasions. 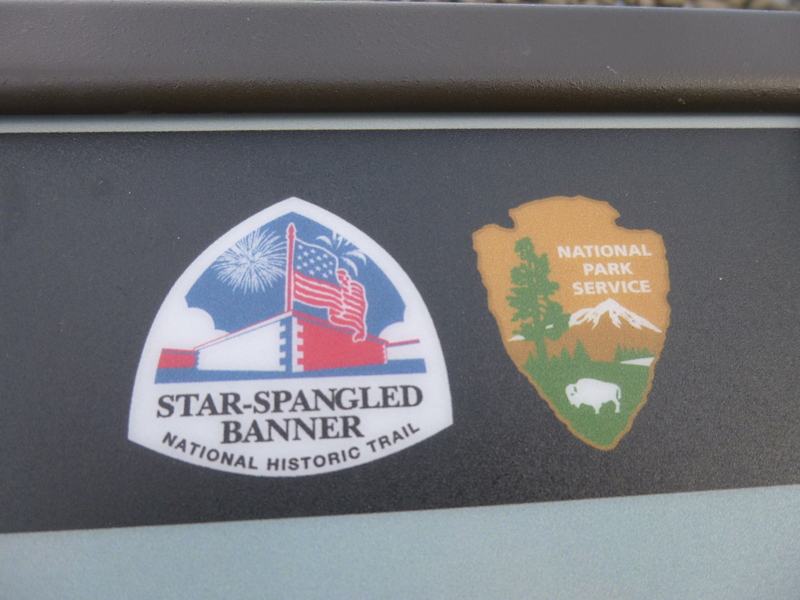 I’m going to have to look into this more – there are apparently several national park “trails” that link together various sites of historical impact (uh-oh – yet another road trip idea!!) 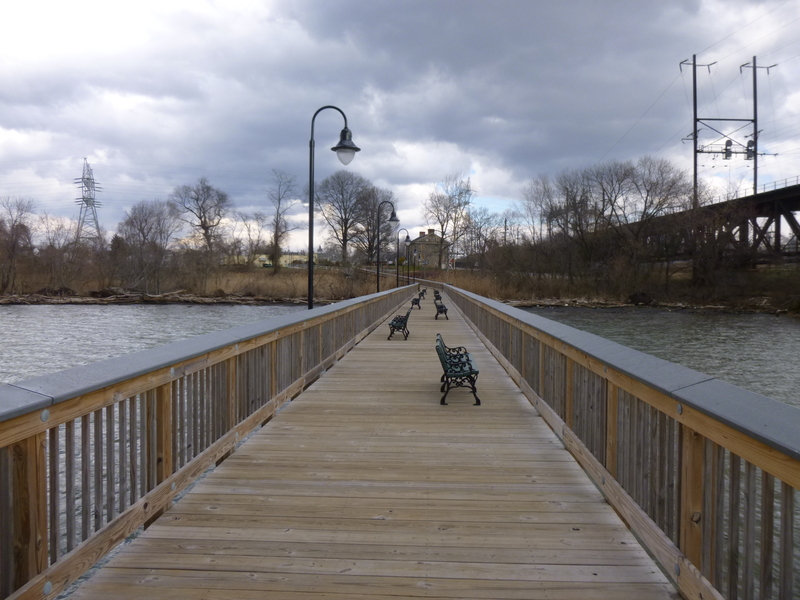 Tula and I finished our walking for the day, and since pets weren’t allowed on the boardwalk, I put Tula in the car and went out on the boardwalk for an extra mile or so. 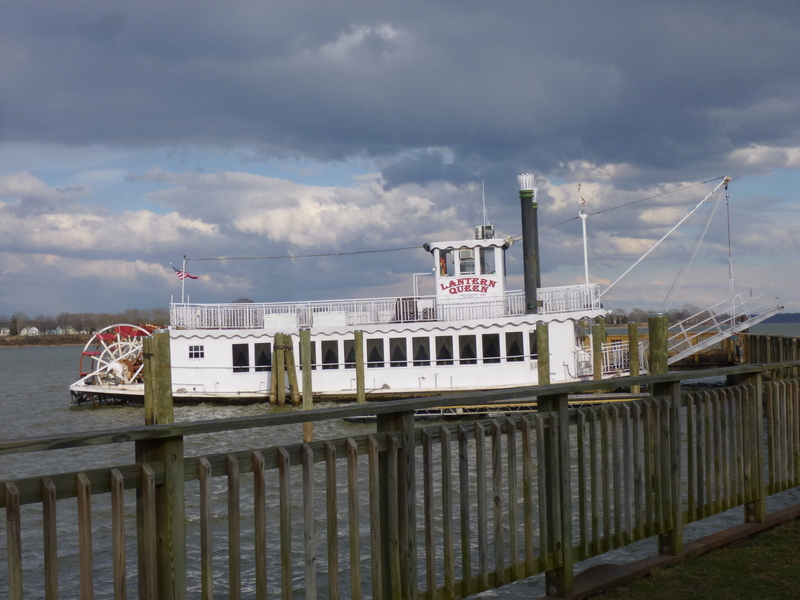 That’s when I learned more about the War of 1812, and how the British burned most of the Havre de Grace (along with many other places) during their invasion, and destroyed what they couldn’t burn. 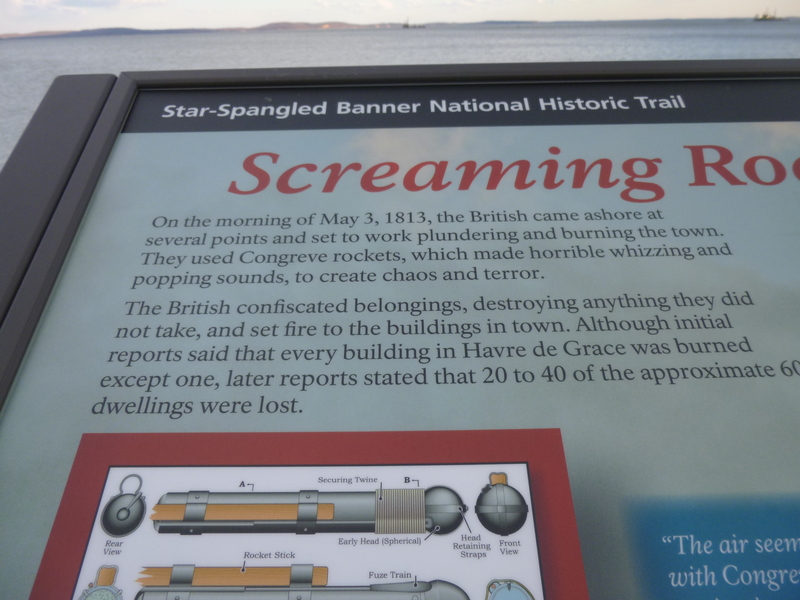 The “bombs” that the British used during this war gave off a red glow, and they’re what inspired Francis Scott Key to write the Star Spangled Banner, which was his poem set to music that already existed. 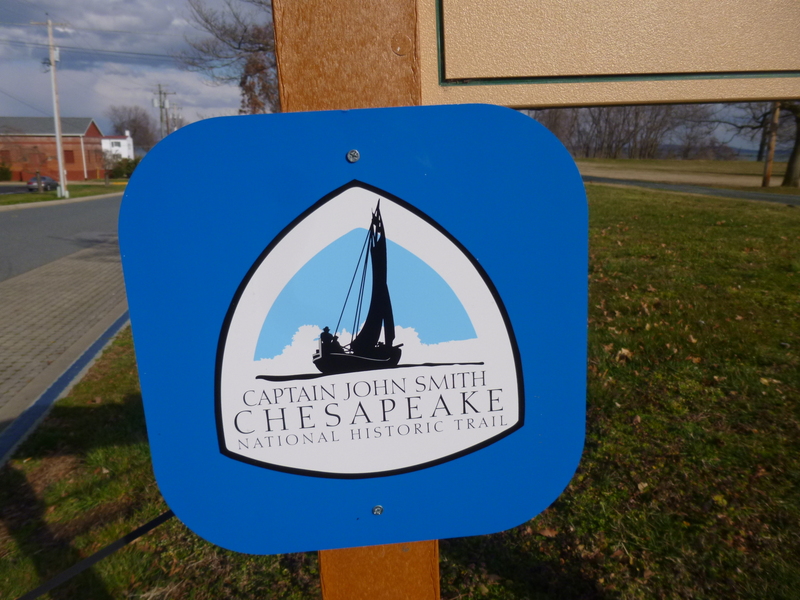 I didn’t realize the battles that inspired him were the ones that took place in the Chesapeake Bay – I guess I thought he was farther south when he wrote this – don’t know why! 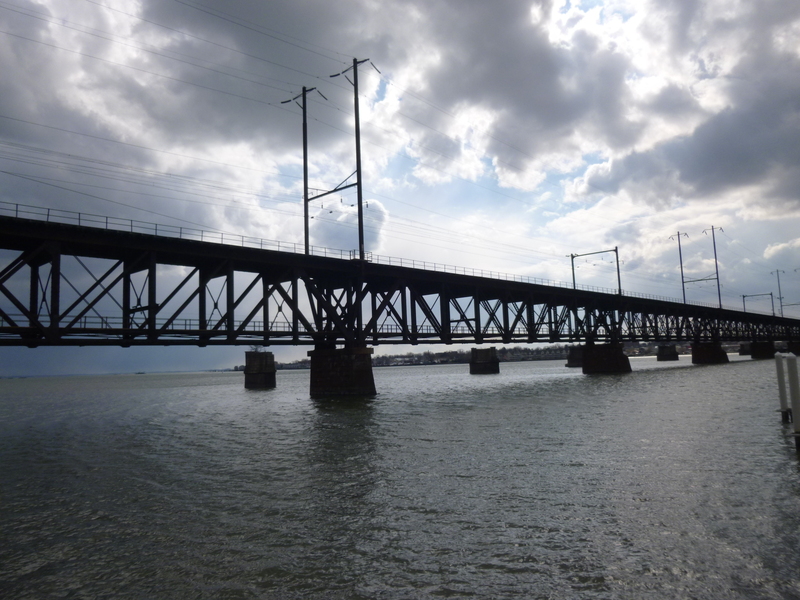 Then I drove down part of the west side of the bay during the twilight hour, and crossed the Francis Scott Key Memorial Bridge and stayed south of Baltimore for the night.